A knowledge of bookkeeping and a basic understanding of the balance sheet, income statement and cash flow statement are indispensable to education in business and economics. Basics of Bookkeeping meets the needs of accounting students and practitioners in understanding the complexities of the subject. After a brief study in elementary accounting, the authors introduce the basics of cost accounting, financial accounting and financial management. The book provides a practical approach and each new topic is followed by simple examples. With its concise approach, this textbook will be valued by students with no background in accounting and finance. 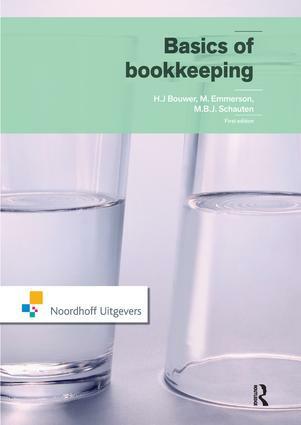 A companion website featuring extra exercises and multiple choice questions can be found at www.bookkeeping.noordhoff.nl.